Kindergarten and first grade teachers know that the 100th day of school is the perfect reason for a celebration! Plus it’s a great excuse to have a little educational fun and break from the routine. 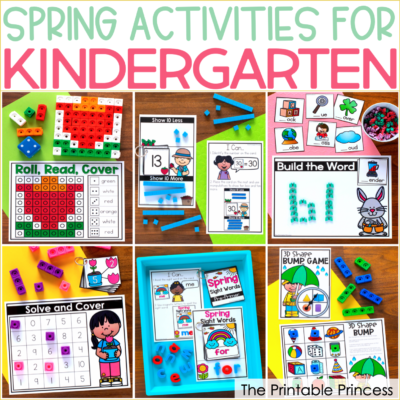 Activities to celebrate the 100th day of school can be incorporated into just about every subject — including literacy, social studies, art, even physical education. 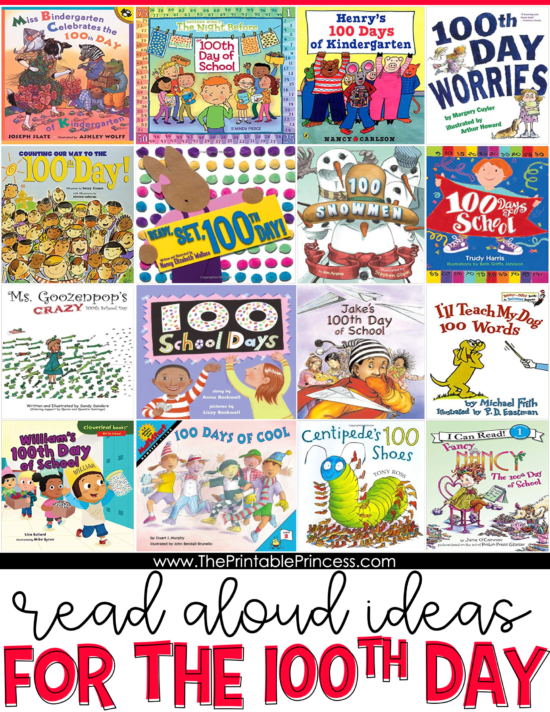 Today I’m sharing 100th day of school ideas that require little to no prep work. 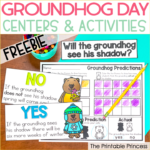 Here’s a few 100th day of school ideas that require little to no prep. Be sure to grab your freebie at the end. 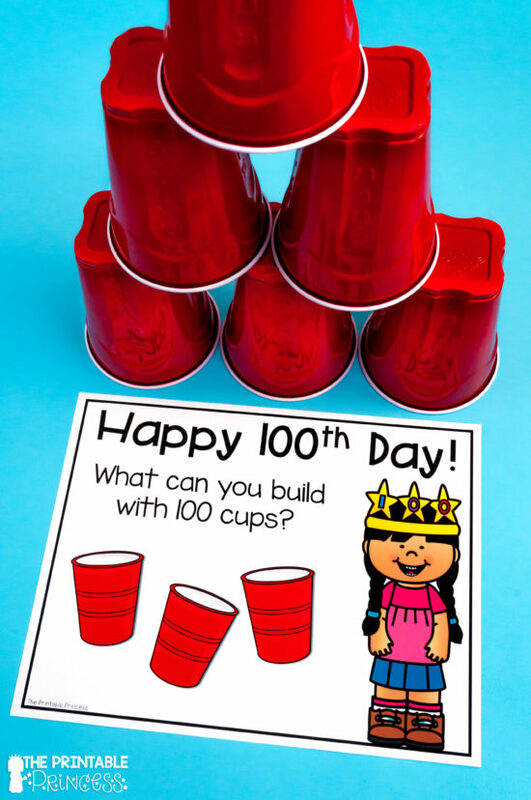 Build a tower using 100 paper or plastic cups. Make a structure using 100 toothpicks and marshmallows. Use 100 Legos or blocks to build a structure. 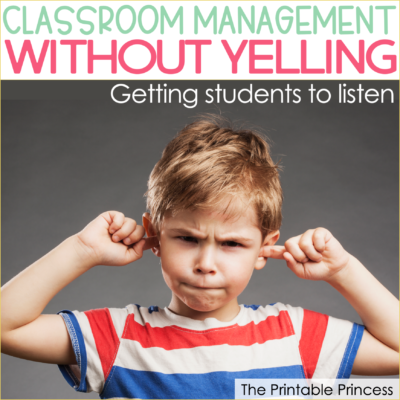 Have students close their eyes and open them when they think 100 seconds have passed. Who came the closest? Calculate what year it will be when students turn 100 years old. Learn to say the number 100 in a different language. 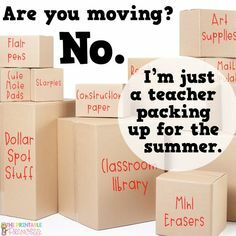 Have students bring in 100 small items (pennies, marshmallows, paper clips, etc). 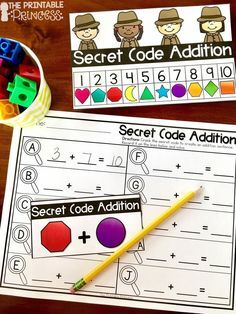 Give students a blank piece of paper and have them make 100 thumbprints. Dress up as a 100 year old. Make a paper chain with 100 links. Divide students in to ten groups. Each group uses a different color, then combine the links to make a long chain. Make a class banner with 100 handprints. As a class bring in 100 cans to donate to the local food bank. Collect 100 pairs of mittens or pairs of socks to donate to a local shelter. Make a list of 100 ways to be kind to others. Spend the rest of the year doing them and cross them off as they are completed. 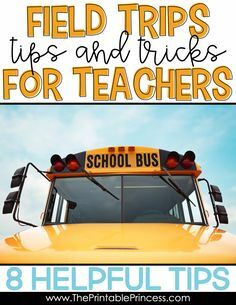 Think of 100 chores that students can do to help out at home or around the community. Give 100 compliments as a class. Create 100 cards for a local nursing home or children’s hospital. Collect pennies, separate them into groups of 100, and donate them to a local cause. Run in place for 100 seconds. Do 10 sets of 10 exercises. Estimate where 100 steps would take you, then walk 100 steps to see how close you are. See who can walk the farthest in 100 steps. Touch your toes 100 times. 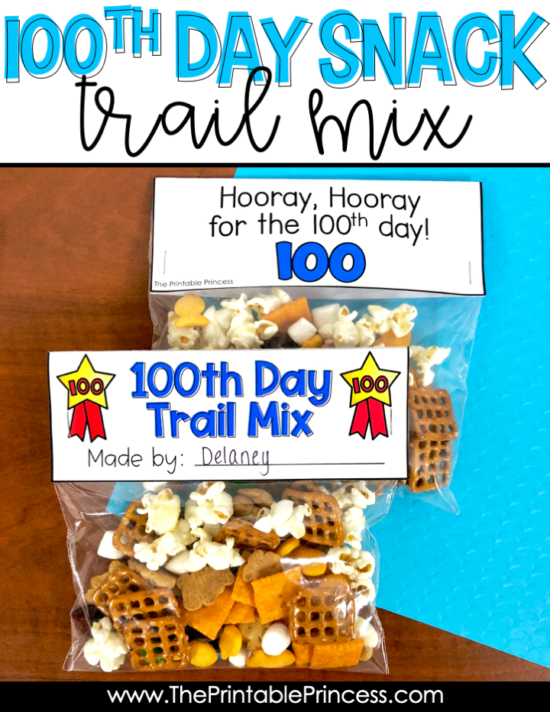 Make a 100th Day Trail Mix snack. String 100 fruit loops to make a necklace. Create the number 100 using a baby carrot and two cucumber slices. Make a 100 day snack using a stick wafer cookie and two round cookies. 100th Day Hershey Kiss hunt, then divide them and eat them. 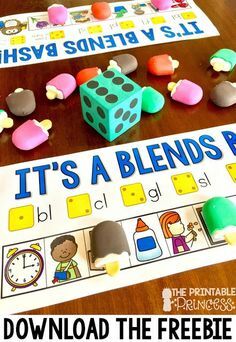 Put 100 magnetic letters in a bag. Pick one at a time. 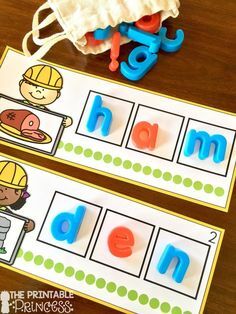 Name each letter an/or sounds as you pull them out. 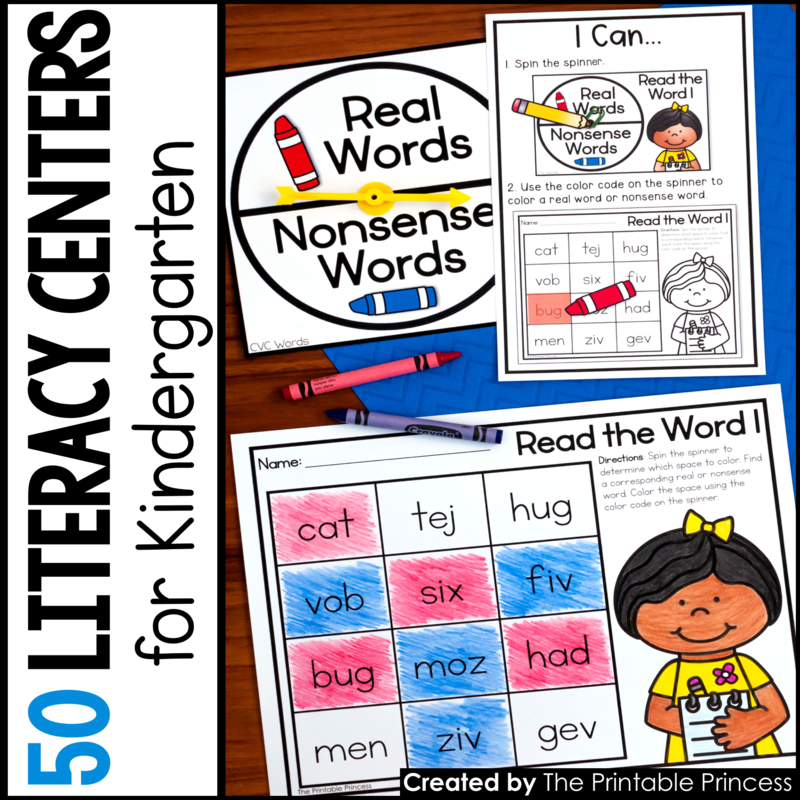 Complete literacy centers with a 100th day theme. Have students draw a picture of what they will look like in 100 years. 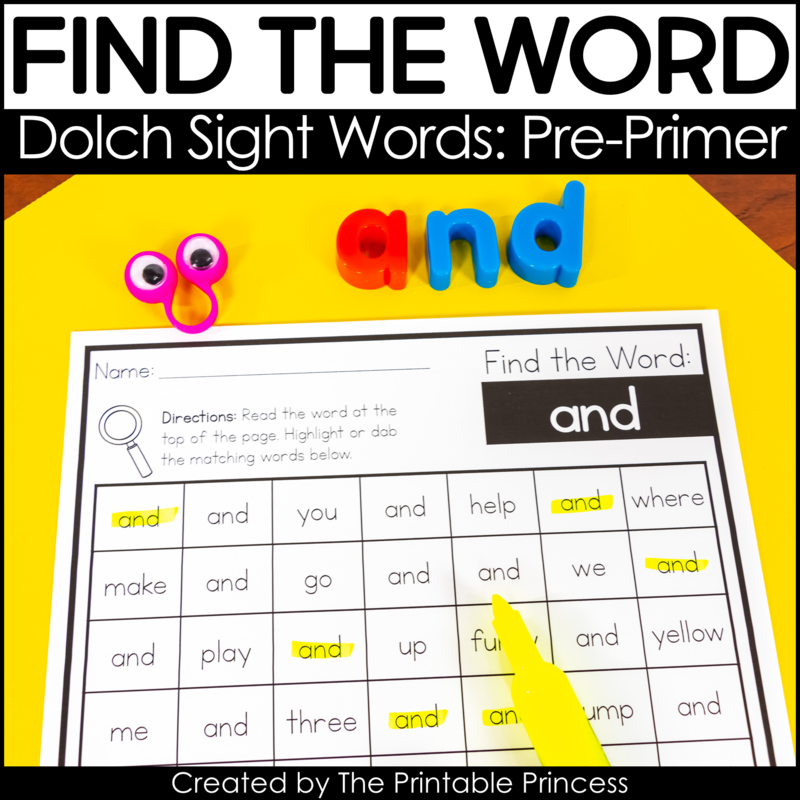 Write 100 words: sight words, cvc words, etc. Write a shared story of 100 sentences, each student adds one sentence at a time. Finish the sentence “I wish I had 100…” and then make a class list. 100 seconds to write your name as many times as possible. 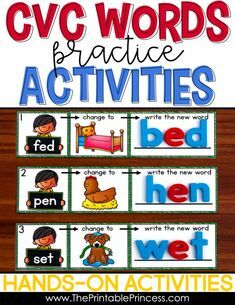 Naming writing practice! Collect 100 autographs (works great as a grade-level). Write the word “one hundred days” on the board. 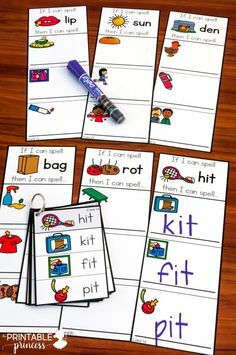 See how many words students can make using those letters. 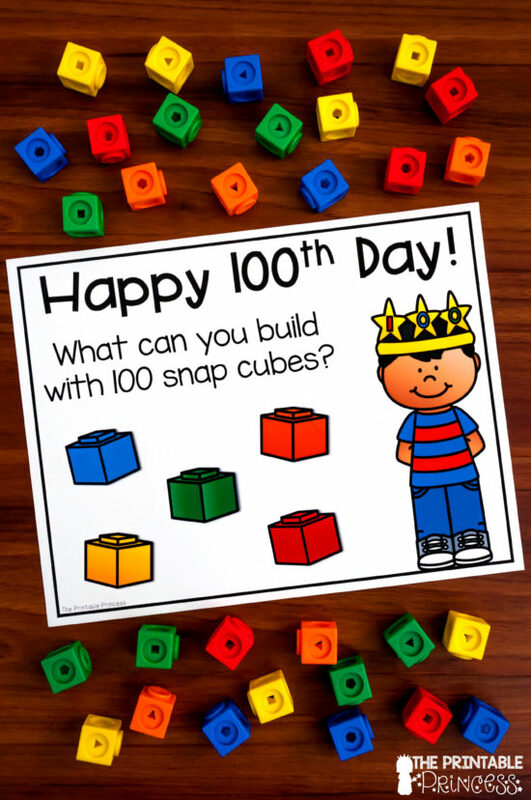 Build a structure using 100 snap cubes. 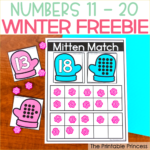 Write the numbers 1 – 100. 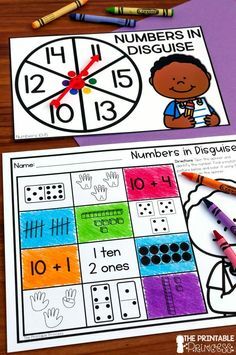 Count to 100 by ones, twos, fives, and/or tens. Count to 100 as a class, each child says one number until you reach 100. Make a list of things you do in 100 seconds and 100 minutes. See how many numbers you can write in 100 seconds. Count out 100 plastic bears and stand them in a line. Count out 100 links and link them together. 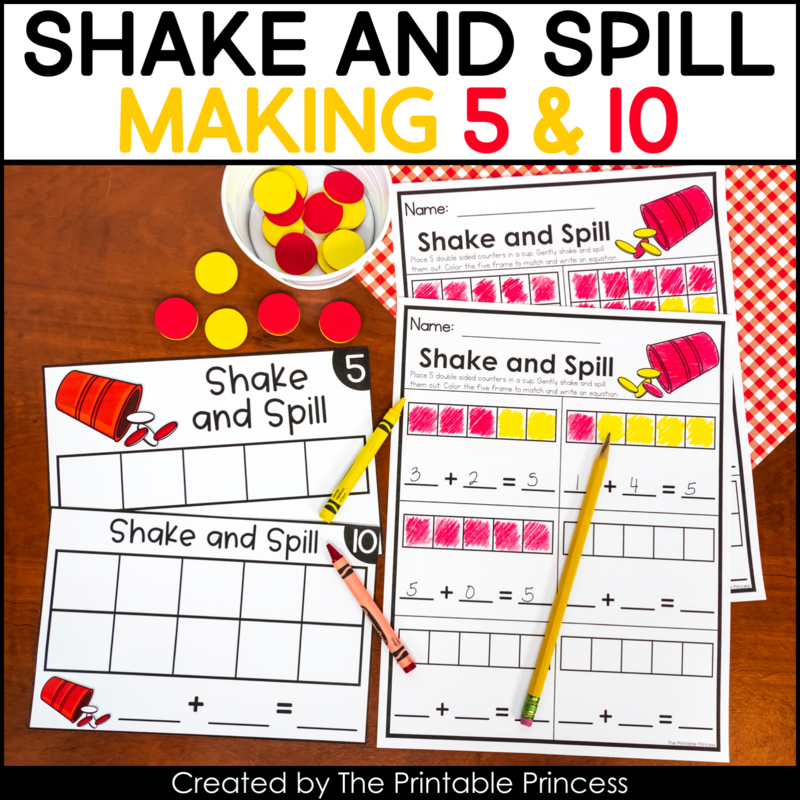 Have small groups of students flip a coin 100 times and record the results using tally marks. Die cut a number 1 and two 0’s for each student. 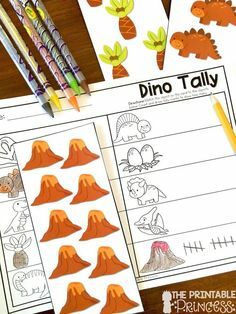 Let students design a picture. 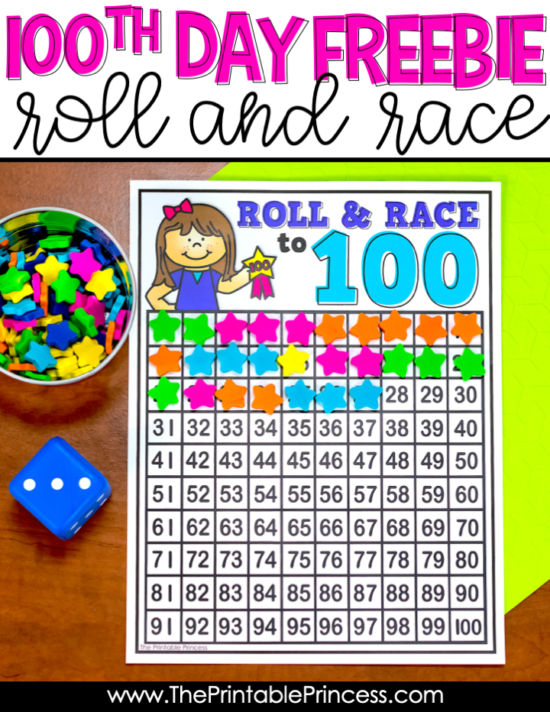 Play Roll and Race to 100. 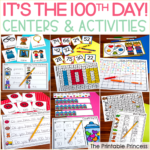 I hope you can grab a few of these ideas and incorporate them into your 100th day celebration! 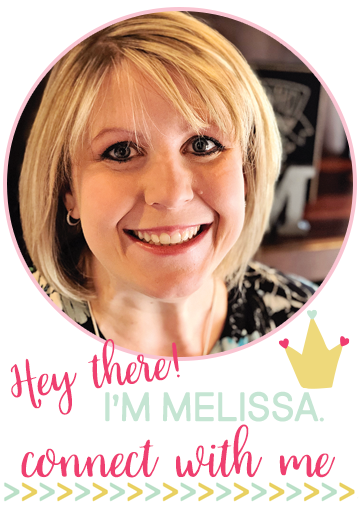 I’d love to hear how you celebrate this special day in your classroom. 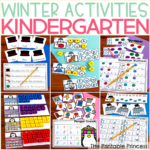 You can check out my 100th day of school activity pack for even more math and literacy ideas!